On the heels of big time runs through the 16-and-under Platinum Division bracket, Wisconsin United and the Wisconsin Swing put an exclamation point on the NY2LA Sports Next Level Invitational with an instant classic on Championship Sunday with the title on the line. Keontae White got a head of steam driving to his left with the final seconds waning off the clock, and finished a layup just before the final buzzer in Homestead’s gym sounded to give Wisconsin United a 71-69 victory over the Swing. White, a 6’3 lefty combo guard from Milwaukee Hamilton, dazzled throughout the tournament with the rock in his hands and continued his electric play with a game-high 25 points in the championship. Though many teams try to sit on his left, he continually figures out ways to blow by and knife through the defense on the way to the cup. His performance in the championship, and in crunch time, wasn’t a fluke and he’ll certainly have plenty of coaches to perform in front of with two more live periods remaining in July. Wisconsin United has staked its claim as one of the best 16U squads in the Midwest thanks to its trio on the perimeter of White, Tyrese Haliburton (6’4, PG, Oshkosh North) and Carlos Curtis (6’2, G, Riverside). All three will have Division I coaches tracking their progress over the remainder of their high school careers. Haliburton skills as a playmaking point guard, and his overall length, have already garnered him plenty of attention from DI coaches and he burned the nets with seven three-pointers in the quarterfinals win, and also found success from downtown in the semis over MBA Select. He’s got an unorthodox release, and a Saturn-ball like rotation, but he definitely had it working Sunday. Curtis came up huge with 22 points in the championship game, and though he may not always score that much for Wisconsin United game-in and game-out, he will always bring the same intensity on both ends of the court every game. He’s got that proverbial ‘dog’ in him, and plays with a tenacity that is un-teachable and few possess. If he can polish his perimeter game, he can become an even more dangerous prospect. The Swing had enough excitement in one day for a whole season as they came off a buzzer-beating, game-winner of their own in the semifinals thanks to Mason Steffen’s runner which knocked off MN Select. Steffen (6’3, G, Waunakee) put together a great tournament at the Next Level Invitational and surely caught the eyes of several DI coaches who will track him the remainder of this summer and beyond. He plays with great pace, and showed good decision making with the ball as well throughout the tourney scoring in a variety of ways. Mitch Listau (6’4, G, Waunakee) also impressed during the tournament and currently projects as the Swing’s highest rated recruit. The lefty thrives with the ball in his hands by creating good scoring looks for himself and teammates, but also showed the ability to play off the ball and knock down shots off the catch. The Swing’s leading scorer in the semis (19 points) and finals (16 points) was Nick Klug (6’1, G, Burlington). Klug hit clutch shot after clutch shot during crunch time in the semis, and also hit a three-pointer late against Wisconsin United to tie the game 67-67. Along with talented guard Hunter Plamann (6’1, PG, Xavier) who’s got a tight handle and keen ability to get into the lane to put pressure on the defense, the Swing 16’s can make an opposing coaches head spin with all that talent and versatility on the perimeter. 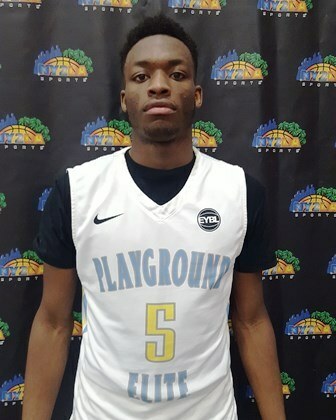 While the Swing’s guards shoulder most of the scoring load, the 6’7 Wisconsin Dells product gave the Swing a strong interior presence on both ends of the court during bracket play of the Next Level Invitational and continued on Sunday. Brandt finished his opportunities when he got them around the hoop utilizing a couple nice post moves, and also did some damage on the offensive glass. The 6’3 lefty from Byron High School (MN) provided great defense in the semifinals against the Wisconsin Swing, taking turns guarding both Mitch Listau and Mason Steffen, then showed off his ability to be a dangerous three-point threat off the catch. He drained three three-pointers in the second half, including two late in the game down the stretch. Hemingway stands only 5’10, but the Mishawaka Marian is a floor general in every sense of the word as well as a plus athlete. He showed off his feel for the position to go with a versatile scoring ability, and played a huge role in MBA’s run to the semifinals. 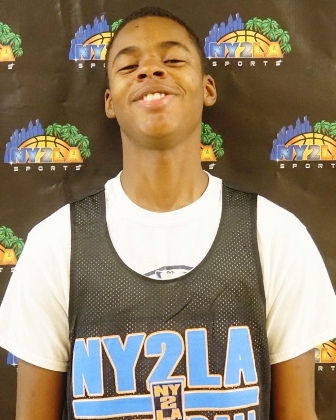 Hemingway remains one of the biggest sleepers in the NY2LA Sports Association. In a tough semifinals loss to eventual tourney champions – Wisconsin United – Powers (5’10, St. Joseph South Bend) showed off a nice shooting stroke from distance as well as a crafty handle, passing ability and good court vision.